Apple has appointed bmobile-vodafone the exclusive authorised reseller for their range of iPhones this includes everything from latest iPhone 6S and 6S+ to the most powerful phone with a four-inch display which is iPhone SE. The entire range of phones ensures that there is an iPhone suited for different budget range. bmobile-vodafone subscribers can get their choice of iPhone and start sharing epic Live Photos and 4K videos over the bmobile-vodafone network. iPhones will be available at all bmobile-vodafone retail outlets in PNG. Bmobile-Vodafone is the fastest growing telecom operator in PNG and the Solomon Islands. The rollout of the high speed data capacity in PNG has seen coverage in all of Port Moresby and Lae, Mt. Hagen, Goroka, Kainantu, Kundiawa, Manus, Simberi, Wewak, Ramu and Madang town with more sites expected to roll out. Their retail footprint is continually expanding via strategic partnerships established with retail giants such as City Pharmacy Limited, Seeto Kui and Papindo. They recently opened their flagship store at the Vision City new wing. 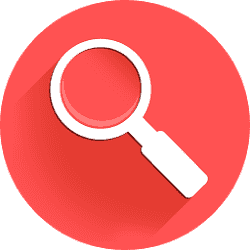 Vodafone is world's largest mobile communications companies by subscriber base with over 450 million customers as on December 31, 2014. Vodafone currently has equity interests in over 20 countries across 5 continents and more than 55 partner networks worldwide. For more information, please visit www.vodafone.com. Trans Pacific Assurance today announced the Accidental Death Protection Policy for the people of Papua New Guinea. And partnership with bmobile-vodafone will make the service more accessible to the masses. Subscribers can register for the service by dialling *872# on their bmobile-vodafone number. As an introductory offer for the month of September, they can make payment of K3 with their phone credits with no extra charges. From October onwards an 80 toea transaction fee will be applied thereafter.Trans Pacific Assurance today announced the Accidental Death Protection Policy for the people of Papua New Guinea. And partnership with bmobile-vodafone will make the service more accessible to the masses. During the process of registration, you will be required to enter your personal details and the details of your beneficiary. If you need to change the details later you will need to visit the Trans Pacific Assurance office located in Port Moresby. Only persons aged between 18 years and 70 years are eligible to register for this Policy. “We continue to develop products that are easy to use, understand and of exceptional value. We look forward to expanding insurance to all corners of PNG” said Sundar Ramamurthy, Group CEO bmobile –vodafone. Customers can find more details about the policy by contacting the Trans Pacific Assurance Limited on 7545 3200 or visit the website on www.transpacific.com.pg or bmobile-vodafone call centre on 7600 3555 or send an email to connect@bmobile.com.pg to find our more. At the annual Vodafone Partner Markets conference in London this month, bmobile-vodafone was nominated for the award of best Partner Market Brand of 2016-17. The award recognises the best performing and fastest growing telecom companies amongst the Vodafone Partner Markets. Senior members of the Vodafone leadership team evaluate success of the nominated brands growth figures, Net Performance Score (NPS), qualitative evaluation of products and services and most importantly adherence of global parameters and standards set by Vodafone. There are 55 Vodafone partner market brand across the world, these include names like MTS of Russia, DoCoMo of Japan, du telecom of UAE, Rogers of Canada and more. Using Vodafone’s best practices, all 55 partner markets work towards delivering a consistent and better customer experience. The global standards eventually help each of these brands perform better in their local market places. bmobile-vodafone has been the pioneer at new product offering and customer service methods for prepaid and postpaid customers of PNG and Solomon Islands. Port Moresby, 15 Mar, 2016: bmobile-vodafone, PNG’s fastest growing telecommunication service provider, has opened a new flagship store at Vision City (new wing). The 100 square-meter store is the company’s biggest ever, and will cater for their growing customer retail and business customer base..
Customers will be able to buy new connections, replace SIM cards, buy airtime or buy handsets from the wide range displayed in the store. The ‘TechZone’ will provide customer assistance forissues regarding phone and/or SIM settings. And there is also a Business Concierge to address the needs of businesses, both small and large. The bmobile-vodafone store at Vision City (new wing) is now open for customers. Apart from this, bmobile-vodafone has exclusive stores in Port Moresby, Lae, Mt. Hagen and Goroka. In Port Moresby there are stores located at Jacksons Airport (International and Domestic), Waigani Drive, Koki Market, Waterfront mall and Vision city mall (old wing). In Lae the store is located at the Lae Post Office in Top Town. In Mt. Hagen, the store is located at the post office building and in Goroka the store is at the Bird of Paradise building. 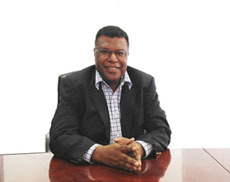 bmobile-vodafone launched audio conferencing service for the businesses in PNG. Until now, if a PNG resident wanted to join any audio conference, they had to dial into an international number, which is always expensive, with this new service, they will not need to make expensive international calls to join audio conferences. Any business, small or large can subscribe to this service. Just fix an appointment with bmobile-vodafone sales representatives on 76003555 and they will come and explain the details. For the new number series (75000000). PABX systems with the new number series (75000000). resulted in a large increase in our customer base. and issued another one million number range to Bmobile-Vodafone. The new range (75000000) has been in operation for the last 10 months. All PABX vendors can email their queries to pabx@bmobile.com.pg. Companies can email their queries to support@bmobile.com.pg. Lae, 18 Mar, 2016: bmobile-vodafone, PNG’s fastest growing telecommunication service provider, inaugurated their corporate flagship store at Lae, located at the ground floor of Post PNG building, Top Town. The store, their first ever in Lae, will cater to their growing customer base, both retail as well as business customers. Customer will be able to buy new connections, replace SIM cards, buy airtime or buy handset from the wide range displayed in the store. The store will address customer challenges with their phone and/or SIM settings. 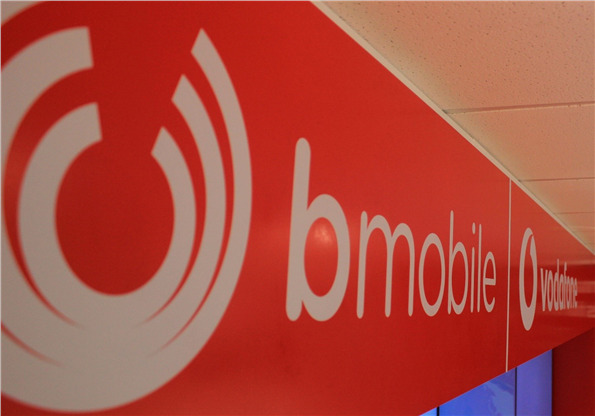 The bmobile-vodafone store in Top Town Lae is now open for customers. Apart from this, bmobile-vodafone has their exclusive stores in Port Moresby, Mt. Hagen and Goroka. In Port Moresby the stores are at Jacksons Airport (International and Domestic), Waigani Drive, Koki Market, Waterfront mall and Vision City mall (old & new wing). In Mt. Hagen, the store is at the post office building and in Goroka the store is at the Bird of Paradise building. Vodafone is world's largest mobile communications companies by subscriber base with over 650 million customers as on December 31, 2014. Vodafone currently has equity interests in over 20 countries across 5 continents and more than 56 partner networks worldwide. For more information, please visit www.vodafone.com. bmobile-vodafone offer the unique proposition of providing customers the ability to speak to each other as long and as frequently as they like ! “Vodafone’s aim across the globe is to offer the best customer experience with every service; this is being offered in PNG now as well. By dialing *777# subscribers can find out more about what is included in the bundles and also instantly subscribe to them. Subscribers can also go to any retail store and conveniently subscribe to a bundle of their choice directly when they buy airtime credits. Nasfund today announced Eda Supa- voluntary savings can be done by a member using their mobile phone. This capability is being offered for the first time in the region and we think in the world. Members can contribute between K15 to K500 with the transaction fees ranging from as low as K1. Members can find more details about the above promotion on Nasfund website (www.nasfund.com.pg) or the bmobile-vodafone website (www.bmobile.com.pg). bmobile-vodafone announced the limited period offer on their new handset, bmobile-vodafone PORO. 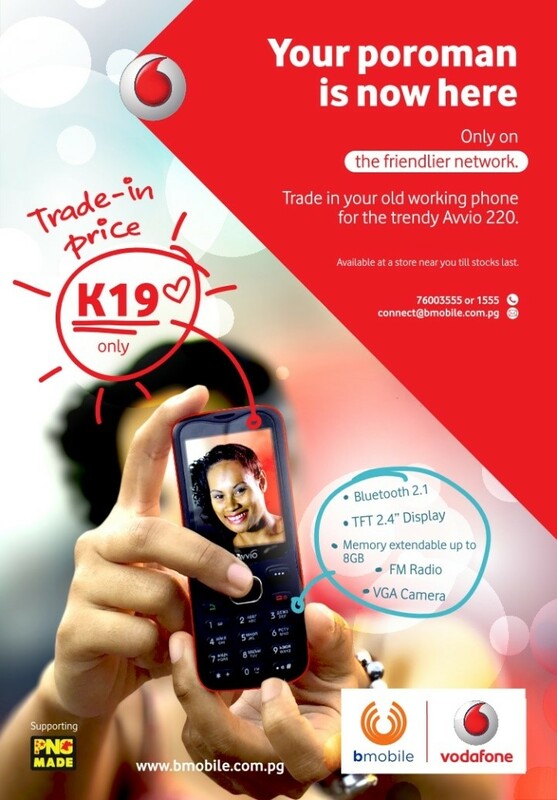 This offer will run between 20th to 30th January 2016 during which time, anyone in PNG can take any old working handset to a bmobile-vodafone reseller and get an Avvio 220 at a trade in price of K19 only. The bmobile-vodafone PORO is feature rich with a 2.4” color screen, VGA camera, radio, blue tooth & an 8GB extendable memory. The offer will be available at all bmobile-vodafone exclusive outlets as well as other shops selling bmobile-vodafone SIMs, top-kad and phones. Bmobile-Vodafone is the fastest growing telecom operator in PNG and the Solomon Islands. The rollout of the high speed data capacity in PNG has seen coverage in all of Port Moresby and Lae, Mt. Hagen, Manus, Simberi, Wewak, Ramu, Madang and Goroka with more sites expected to roll out. Their retail footprint is continually expanding via strategic partnerships established with retail giants across the country. bmobile-vodafone will offer Nasfund Contributors Savings & Loan Society Ltd (NCSL) members an Avvio 750 dual-SIMsmartphone at a discount of K50. 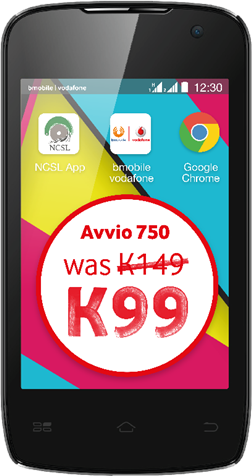 The market price for this handset is K149 but with an NCSL membership, the same phone can be purchased for K99 only at NCSL centres. The discounted phones will be available at the NCSL centers in POM starting Wednesday, 2 Dec 2015 until stocks last. As part of the promotion, NCSL will have its smart phone Application (NCSL Apps) pre-loaded on the smartphones which would be sold to the members. This would enable members to immediately access services offered by NCSL via the mobile phone at their convenience. bmobile-vodafone has completed upgrading its network across all major towns and most minor towns in PNG. This upgrade makes the experience of using smartphone better than before. Also, with best value-for-money pricing of voice and data bundle, bmobile-vodafone subscribers can now enjoy best in class service at affordable prices. NCSL continues to explore opportunities that would improve its service delivery to its 76,000+ member’s right throughout the country, utilizing the ever changing technology. For those that already have a smart phone, the NCSL Apps can be downloaded from the NCSL website www.ncsl.com.pg, enabling smarter access to their savings and loan account information. NCSL is pleased to enter into this partnership with bmobile-vodafone and is confident that this partnership will grow and provide more opportunities for the mutual benefit of both organizations. NCSL is the largest savings and loan society in terms of membership and continues to financially empower its members to make well-informed financial decisions on their short to medium term financial situations towards improving their living standards. The NCSL was incorporated under the Savings & Loan Act on 31st October 2003 to provide NASFUND members and private sector workers a complementary savings vehicle besides superannuation benefits. Bmobile-Vodafone is the fastest growing telecom operator in PNG and the Solomon Islands. The rollout of the high speed data capacity in PNG has seen coverage across the Highlands from Madang to Chimbu along the Highlands Hwy as well as all the regional centres in PNG. Their retail footprint is continually expanding via strategic partnerships established across the country. Vodafone is world's largest mobile communications companies by subscriber base with over 650 million customers as on December 31, 2014. Vodafone is currently present in more than 50 countries worldwide. For more information, please visitwww.vodafone.com. bmobile-vodafone launched the special limited edition, Bestie pack this festive season. The Bestie pack includes two unique bmobile-vodafone SIM cards that can be used like any other SIMs in the market with adequate credits. The retail price of the Bestie two-SIM pack is K5 at all our stores. It’s a limited period offer till stocks last. Chief Marketing Manager, Mr Parag Panjwani said “December has always been about family and celebration, the ‘Bestie’ pack is our way of bringing this spirit alive through our products and services. This December, anyone can buy one SIM and get the other for FREE. People can choose to give the second SIM to their friends or wantoks. This gift could help them save money by making the most of the affordable call rates and the unlimited voice bundles. Vodafone is world's largest mobile communications companies by subscriber base with over 650 million customers as on December 31, 2014. Vodafone is currently present in more than 50 countries worldwide. For more information, please visit www.vodafone.com. The year 2015 started on a positive note for all of us. New customer’s adding up on a daily basis and our focus continues to stay on Quality network & Amazing customer service. Customers have great expectations from us & we need to deliver them in a very agile manner. This is also the year of the Pacific Games, year of PNG to shine. Bmobile-Vodafone has extended their support to the Pacific Games Committee to make the games a success. 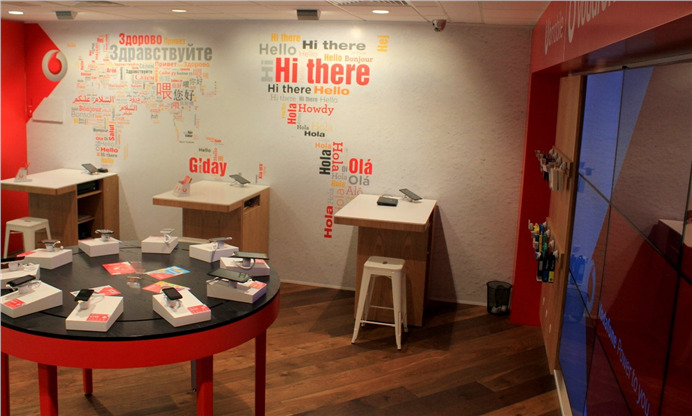 Vodafone’s global learning of store design implemented in PNG for the first time. Port Moresby, June 4, 2015: bmobile-Vodafone, PNG’s fastest growing telecommunication service provider, today launched their world-class retail experience at Jackson’s International Airport. It is world-class because this is the first store for the State-owned-enterprise to be designed on the global retail practices defined by Vodafone. Hon. Ben Micah Minister of State Owned Enterprises, Papua New Guinea, Andrew Johnson, Chairman, bmobile-Vodafone and Sundar Ramamurthy, Group CEO, bmobile-Vodafone were present at the launch. Having created the best telecom retail experience around the world, Vodafone’s global team worked closely with the PNG team to replicate a similar experience in this store just in time to greet the visitors of the Pacific Games. 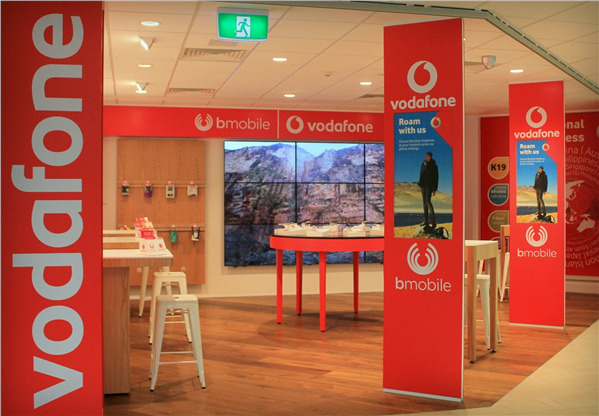 The store provides a warm welcoming ambience reinforcing bmobile-Vodafone’s consumer focussed approach to the market. The design principles with which the store is constructed, allows people to walk into the store from one end, seamlessly browse through products, get the information from the staff, make their purchase and walk out from the other side. The staff at the store have gone through rigorous training to cater to the audience visiting the store so that they get the same world-class experience that they would have found at any other Vodafone store in their country. bmobile-Vodafone store at the Jacksons’s International airport is now open for its customers. More stores with similar design principles will be created in Port Moresby, Lae, Mt. Hagen and other provinces. bmobile-Vodafone was acquired by the Government of Papua New Guinea through an 85% shareholding in October 2013 and has been operating in PNG since 1997. It is Papua New Guinea’s first-ever mobile carrier and also operates in the Solomon Islands (since 2009). The partnership with Vodafone, a globally recognized telecoms provider, will make Bmobile PNG and Solomon Islands one of the world’s most progressive mobile service providers. A vital tool for success in any industry is communication – this is also important in sports and especially in the organizing and running of a large sports team consisting of over 700 people such as Team PNG. Team PNG has realized the importance of this for their success in the 2015 Pacific Games in Port Moresby and have acquired the support of bmobile-Vodafone. 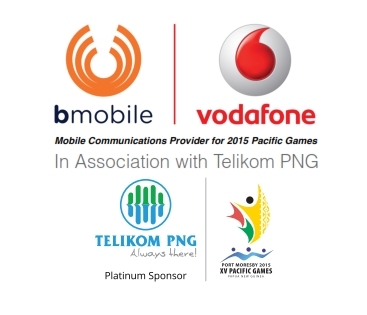 bmobile-Vodafone is assisting Team PNG with over 200 SIM cards, 50 mobile phone handsets and six Media Pads for their operations during the Pacific Games. Team PNG Chef de Mission, Richard Kassman said a large team like his would need good communication between the General Team Management as well as respective team managers and coaches to be well organized and coordinated. A successful team is usually one that is well organized and has good and effective communication within its operations. “Being a leading organization in the communications industry, bmobile-Vodafone is familiar with such a need and we appreciate their support for Team PNG very much,” Kassman said. He said things will be very busy and hectic during the Games and equipment like these will assist them keep in contact with team members and also in disseminating information about the team to the public using bmobile-Vodafone’s large network. Sundar Ramamurthy, Group CEO bmobile-Vodafone added, “As the official mobile services provider to the Pacific Games, we have already delivered connectivity to the Games Organizing Committee and other teams working on making the Games a success. The Games will be a bigger success if Team PNG comes out on top during the Games. We have provided several hundred connections to allow Team PNG to stay connected. These mobile connections are equipped with voice and data connectivity so the team can communicate their wins to the world and also share with the team whenever they want to. We are committed to providing high-quality mobile connectivity during the Games. In order to do this, we have ramped up our capacities in Port Moresby to support the influx of athletes and visitors. We are also launching products celebrating the spirt of the Pacific Nations and we will announce details soon. “Also, to make it convenient for visitors to avail of our services, we have opened our flagship store at the Jacksons International Airport which will cater to the needs of all visitors of Port Moresby,” Mr. Ramamurthy said. The equipment will be used by Team PNG management during the Games for team communication, media updates, awareness and team operations. Bmobile-Vodafone today announced appointment of Mr. Joseph Kintau,OBE as the Head of Government relations & External affairs. Vodafone Group Plc (“Vodafone”) and Bemobile Limited (trading as “Bmobile”) today jointly announced the formation of a new Partner Market Agreement in Papua New Guinea and the Solomon Islands. Under the non-equity partnership agreement, bmobile becomes Vodafone’s exclusive partner in Papua New Guinea and the Solomon Islands and the two companies will jointly offer business and consumer customers a range of products and services. bmobile-vodafone announced that all calls between bmobilevodafone numbers will not be charged on Christmas day ie 25 December 2015. This means if you have a bmobile-vodafone number, you can use that number to call any other bmobilevodafone number in PNG for free this Christmas. Apart from this special promotion, bmobile-vodafone also has a range of affordable voice and data plans to help you communicate with your loved ones in PNG and outside at the most affordable rates.